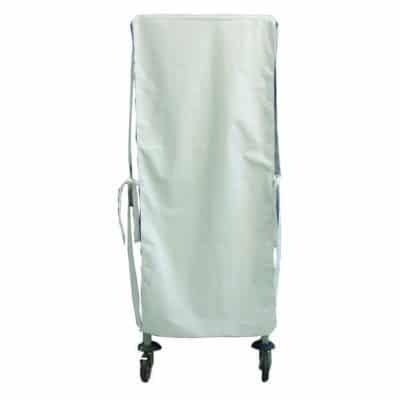 Ventilated Tissue Storage and Transport System. Stainless Steel. 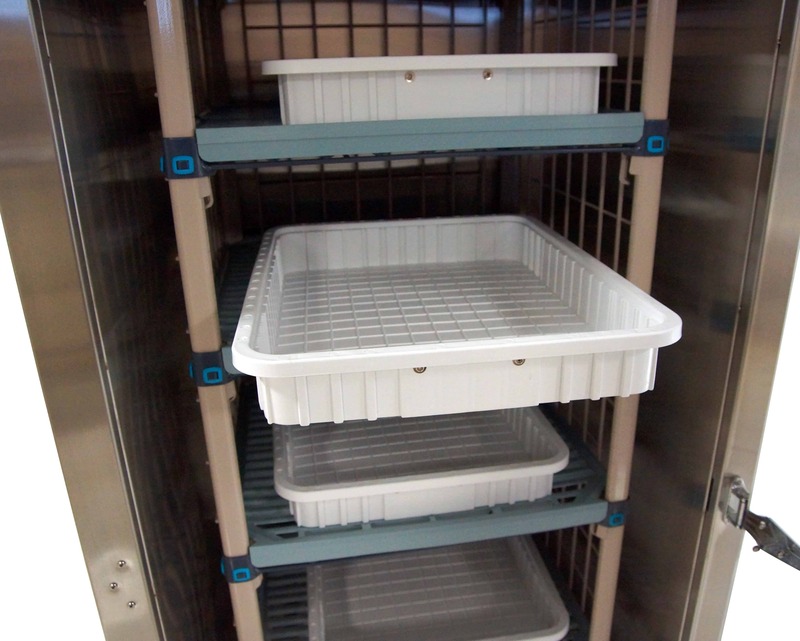 The LD500 Ventilated Tissue Storage and Transport System is the practical answer to everyday tissue storage and transfer needs. 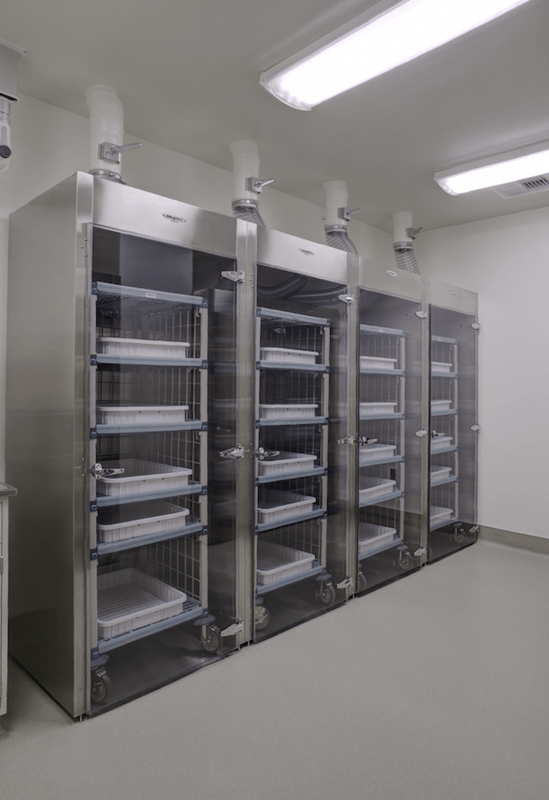 Comprised of a storage cabinet, portable rolling rack, and top side ventilation duct; Mopec’s LD500 system provides a safe and highly functional method for storing tissue samples. This advanced construction method ensures a sturdy stand alone cabinet; eliminating the wobbliness associated with a single cabinet. 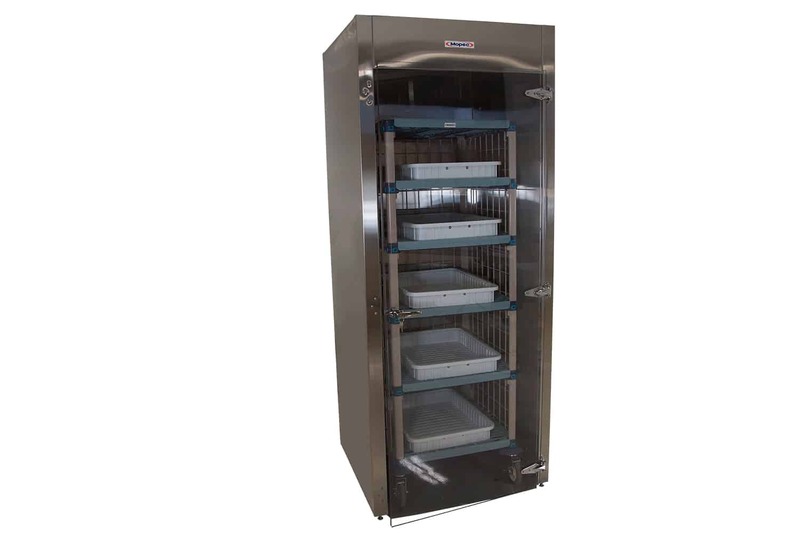 The LD500 cabinet is equipped with a self adjusting floor section and a heavy duty, clear, door for convenient spill cleanup and easy viewing of contents, respectively. 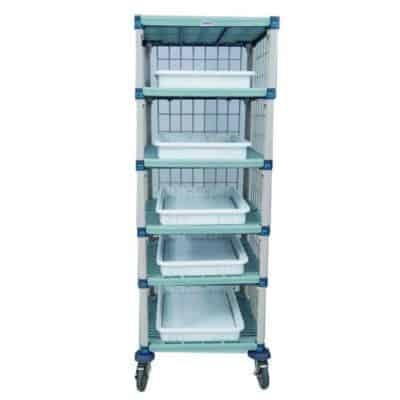 The portable, 5 tier, shelving rack conveniently stores within the LD500 cabinet for proper ventilation of its contents. 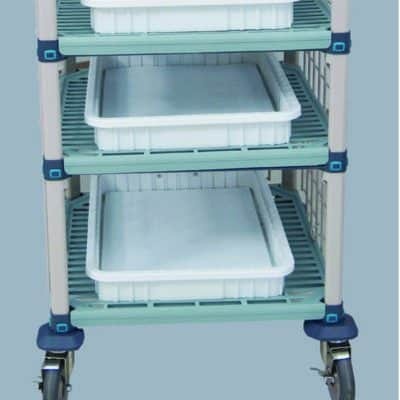 This rack eliminates the need to transfer trays and samples to other mobile carts for intra-facility transport simply load specimens once; for both proper storage and future transport. The 5 diameter rubber casters allow for easy maneuverability throughout any hospital or laboratory facility. The LD500 easily adapts to most laboratory ventilation systems, requiring simple field hookups. 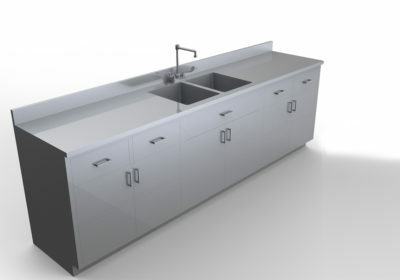 A 6 diameter duct stub is located on top of the cabinet for convenience. Shipped fully assembled. Storage containers not included.